Yoga is rather trendy these days. There are plenty of reliable studies that tell us the many and real benefits that yoga could bring about. Yoga has gone international and a lot of people want a piece of that. There are all sorts of people now offering yoga classes that promise to bring about weight loss, build strength and much else besides. Do you take a yoga class or do you plan to? Are you doing it because a bunch of others are doing it? 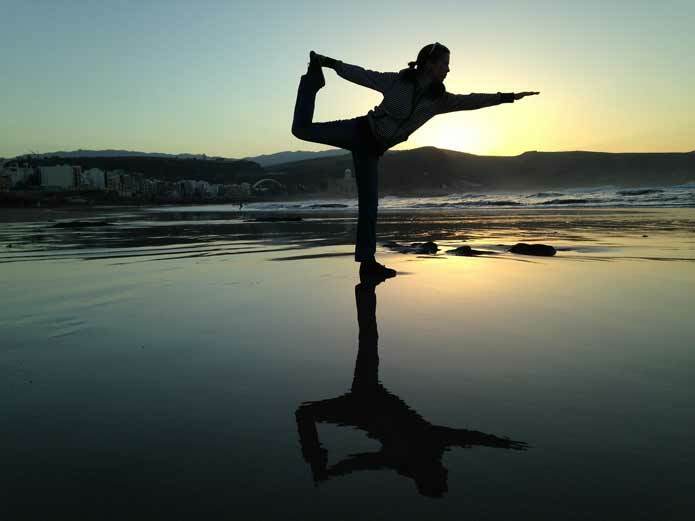 Do you know what kind of yoga will yield the best results for the goals you have in mind? It pays to know a bit about yoga before you embark on your own yogic quest. The word asthanga literally means “of eight (asht) parts or limbs (ang)”. This style of yoga has its roots in the ancient manuscripts; the Yoga Sutras of Patanjali, that laid down certain principles of yoga. It was later codified and formalised by modern day yoga gurus and is one among the most commonly practiced type of yoga. This is an active and dynamic form of yoga rather than a static style and can have various benefits; helping to tone and strengthen the body, making it lighter and more agile. Cleansing – of the mind and the body – is the aim of this style of yoga, which helps the body function as a harmonious whole while ridding it of disease and impurity. Experts of this style of yoga believe that it relieves joint pain, purges toxins and improves blood circulation. Among the best known yoga masters in the world, B K S Iyengar founded the Iyengar school of yoga that concentrates on the proper performance of each aasana, with attention to proper alignment of posture, breath control and precision of action. About 200 poses or ‘aasana’ and about 14 breathing techniques (known as pranayam) were indentified and codified by Iyengar and taught via various yoga schools set up to train would be yogis. The step by step approach of this style of ‘hatha’ yoga is aimed towards increasing tensile strength, improving range of motion (mobility) and enhancing balance of the physical structure. Props or accessories such as blocks, blankets, belts etc are often used. 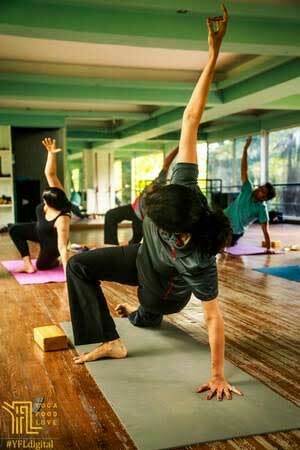 Suitable for the young and the old; Iyengar Yoga can be customised to suit one’s level of expertise, age and ability. Not only does this style of yoga help to improve fitness and flexibility, it can help with rehabilitation of those with injuries or disabilities, helping to make them more self reliant by regaining lost mobility. Swami Sivananda founded the Sivananda school of yoga, a form of hatha yoga. A fixed set of pranayams and aasans are performed in each class. This kind of yoga works largely to increase spinal strength and flexibility. Vinyasa is a style of yoga, rather than a school of yoga. It involves performing aasans in a flow style with yogis moving from one pose to another in fluid motions. Performing aasans in this style can be a welcome change, while challenging the body’s endurance. While all styles and schools of yoga help to provide an all round feeling of wellbeing, certain styles and schools are better for specific goals. Ashtanga yoga helps balance the mind and body, provides peace of mind, relieves stress and helps rid the body of diseases and ailments. Iyengar yoga challenges the limits of the musculoskeletal system, greatly improves flexibility and helps regain complete range of motion. Hatha yoga helps build strength and endurance. Adopting the best of all schools will provide a holistic yoga experience that can be hard to forget and even harder to give up.